In this thoroughly revised and updated second edition of the highly successful Ecological Ethics, Patrick Curry shows that a new and truly ecological ethic is both possible and urgently needed. 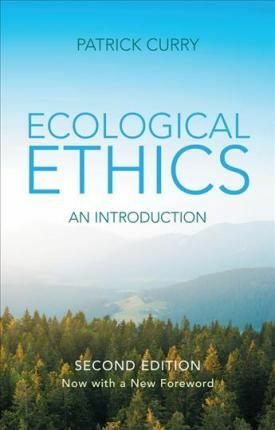 With this distinctive proposition in mind, Curry introduces and discusses all the major concepts needed to understand the full range of ecological ethics. He discusses light green or anthropocentric ethics with the examples of stewardship, lifeboat ethics, and social ecology; the mid-green or intermediate ethics of animal liberation/rights; and dark or deep green ecocentric ethics. Particular attention is given to the Land Ethic, the Gaia Hypothesis and Deep Ecology and its offshoots: Deep Green Theory, Left Biocentrism and the Earth Manifesto. Ecofeminism is also considered and attention is paid to the close relationship between ecocentrism and virtue ethics. Other chapters discuss green ethics as post-secular, moral pluralism and pragmatism, green citizenship, and human population in the light of ecological ethics. In this new edition, all these have been updated and joined by discussions of climate change, sustainable economies, education, and food from an ecocentric perspective. This comprehensive and wide-ranging textbook offers a radical but critical introduction to the subject which puts ecocentrism and the critique of anthropocentrism back at the top of the ethical, intellectual and political agenda. It will be of great interest to students and activists, and to a wider public.